Coming into this class I wasn’t completely sure what to expect, because I wasn’t sure what types of media we would be working with, and what kind of projects we would be assigned to do. The last thing I anticipated was improving my communication skills. Through out all the projects I have completed this semester my technological, visual, and interpersonal communication skills have greatly improved. My technological communication skills I can’t say were awful prior to taking this class, but they have been most definitely enhanced. Before taking this class I would constantly rewrite emails, and call my dad for help because I was concerned they would not sound educated or convey my ideas correctly; but I am now confident in what I write, because I’ve learned ways to simplify sentences and compress what I want to say into a concise and understandable e-mail. I also learned never to use a negative when writing a summary for a project because it does not convey the right connotation. Prior to this class I didn’t have any experience in visual communication other than media production one, needless to say I learned a vast amount about presenting what I want to say through media in the most efficient way. On my final project I originally had Stacey Moss introduce herself in her interview, but as I reviewed notes and spoke with the professor I realized that I was able to show who, through the one/third title slide; where and when, through the video; and why by an interesting catch at the beginning of the interview sequence. As I learned that we would be having to interview and video people for all of our various projects it made me very nervous, because I automatically thought it would set me up for experience a really awkward moment with someone I didn’t know. But as I went through each interview, I became comfortable with talking to people and I became quit good at truly listening to someone and letting them talk. I knew this class is a requirement for communication majors, but I did not realize how much it improved my actual communication skills until the conclusion the class. 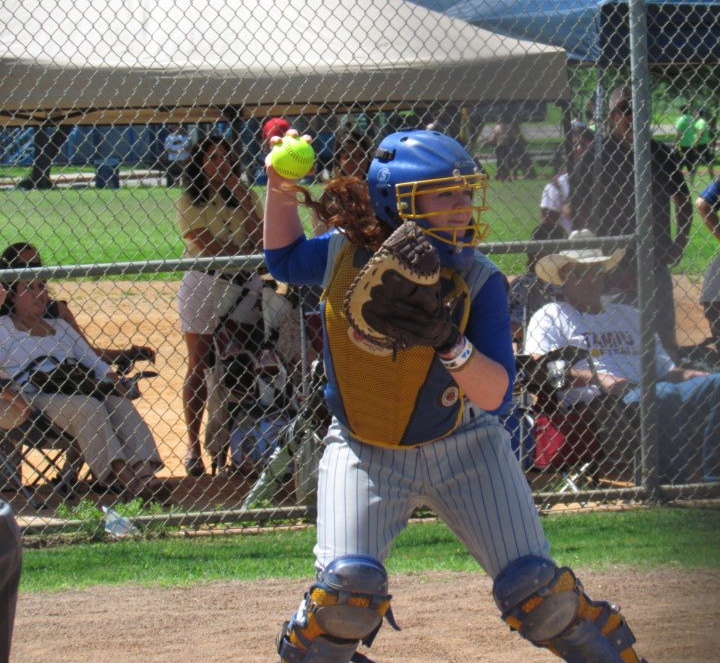 As a senior collegiate athlete at St. Mary’s University, Stacey Moss applies her religion to all aspects of her off and on the softball field. The lady Rattlers look to her for spiritual guidance and support, and Moss has graciously embraced that role. She is a great representation to St. Mary’s University. 1. A St. Mary’s athlete, Caroline Flores, attempts to finish homework while finding time for breakfast. 2. Caroline Flores, also known as “Pee Wee” studies college algebra with a teammate in the café. 3. Jayme Powers shoots some hoop to relieve college stress. 5. Jayme Powers shifts his eyes to check out the weight room, during his free throw practice. Practice makes perfect: For musician Karl Wacker, he uses church choir and FCA, as well as free time to refine his guitar playing and singing skills. I’d like to thank Karl for the private concert and interview. I hope ya’all love his voice as much as I do! Here is a brief interview I conducted with Danielle Torres ( a fellow media production II classmate) answering a few questions about herself. This is the website of Ashley Behabetz. A compilation of various St. Mary's activities, assignments and personal thoughts. "Stay strong and Rock on"